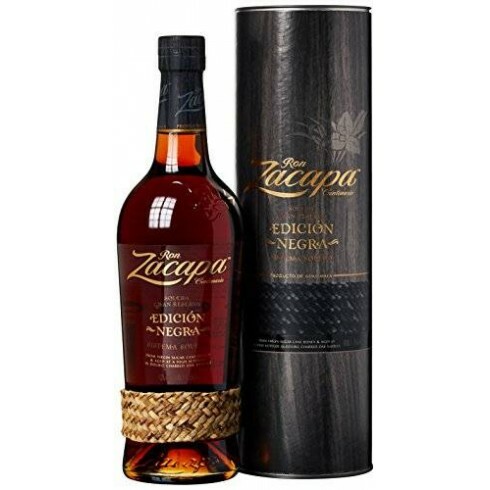 Ron Zacapa Edición Negra – World famous Rum On Offer | Saporidoc UK. Ron Zacapa Edición Negra from world famous rum producer Ron Zacapa, for whom rum production is a work of art, and an expression of patience, richness, quality and master blending. Aged to perfection in the highlands of Quetzaltenango in Guatamala, Zacapa Rum develops its complex flavour and character 2,300 m above sea level in the mystical House Above the Clouds. Bouquet Rich, dark rum with smokey intensity, revealing accentuated woody, spicy and dense fruity notes in the liquid, and a unique and magical finish. Taste Caramelised fruit, plum, raisins, chocolate and spices. A high intensity rum, perfectly balanced with smooth smoky notes. Ron Zacapa is an excellent Guatemalan rum, the result of a special blend of long aged anejos rums. 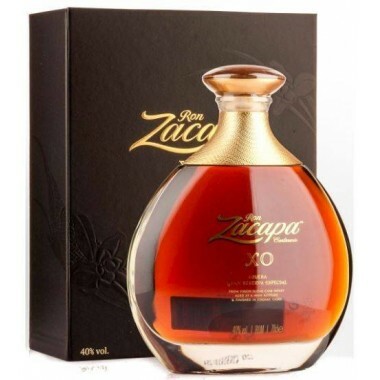 It owes its name to the area of Zacapa, a municipality in Guatemala founded at the time of the Spanish colonization. Many centuries before in that territory the Mayan civilization had developed of which still remain archaeological ruins. Unlike most rums, which use molasses as a basis, only pure sugar cane juice, called Miel Virgen (virgin honey) from Guatemala, is used for the production of Ron Zacapa rums. This is what makes the Zacapa rum unique. Ron Zacapa Edición Negra contains a blend of rums from 6 to 24 years old, with an extra ageing stage in casks that previously held American whiskies and fine Pedro Ximénez wines.